I adore this band so much right now. Along the lines of Curve and Throwing Muses, this is gorgeous indie guitar rock with dark swirling melodies and a female vocalist. 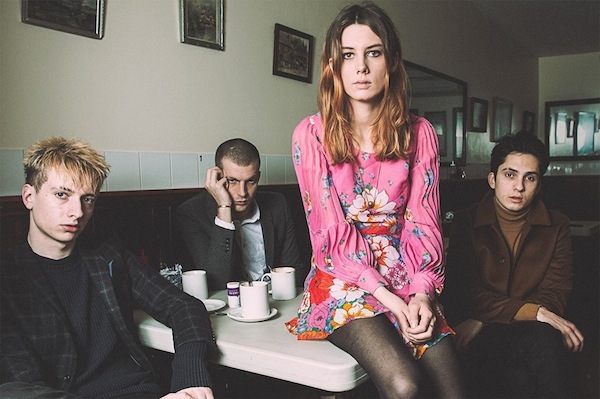 Simultaneously haunting and brazen with spidery guitar and hard bass, Wolf Alice cuts all angles. I found out about Wolf Alice from DJ Dan O’Connell on XFM London—the benefits of listening to a London radio station at the gym etal. In June, the North London band released its debut album, My Love Is Cool [Dirty Hit/RCA Records]. The fourpiece is currently on tour in the states and will be playing my birthday [happy birthday to me! ]– Wednesday August 5 2015– at The Middle East Restaurant and Nightclub in Cambridge, Mass. This entry was posted on August 4, 2015, 20:39 and is filed under Music. You can follow any responses to this entry through RSS 2.0. Both comments and pings are currently closed.